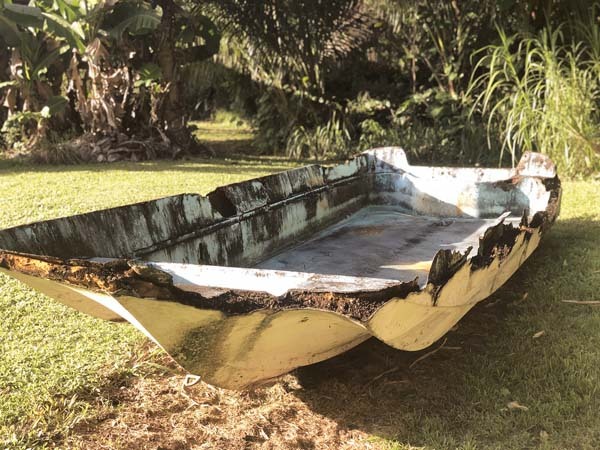 HANA — The Sarah Joe was a 17-foot motorboat that then-20-something Robert Malaiakini acquired in the 1970s. He named it after mom Sarah and dad Joe. The name Sarah Joe is also linked to one of the greatest tragedies and mysteries to arise from Hana. The boat took five strong, healthy, young Hana men out to sea 40 years ago Monday. It would eventually return to Hana after more than a decade and over 4,000 miles, but the men would not. What happened to the men aboard remains part fact and part fiction. It’s a tale retold by outsiders around this time yearly, and a story that’s lived daily by generations of people residing in East Maui. The Sarah Joe changed the lives of five families forever, and rocked a small, tight-knit town where even decades later, residents rely on house visits instead of technology to connect with neighbors. Sitting around a table to talk story Friday afternoon in Malaiakini’s garage are three generations of East Maui residents representing three of the five men. Siblings of the men lost at sea are now in their 60s and 70s, their children are middle-aged adults, and their grandchildren attend elementary school. The five men — Ralph Malaiakini, 27, Scott Moorman, 27, Benjamin Kalama, 38, Patrick Woessner, 26, and Peter Hanchett, 31 — are memorialized on T-shirts worn by some and they’re the subject of discussions that draw reflection, laughter and some tearing up leading to the 40th anniversary of their disappearance at sea. Robert is Ralph’s twin brother; Ralph was ahead by 15 minutes. Michael and brother Patrick were close too, only 16 months apart. “One got the blue pajamas and the other got the red,” Michael said with a laugh. 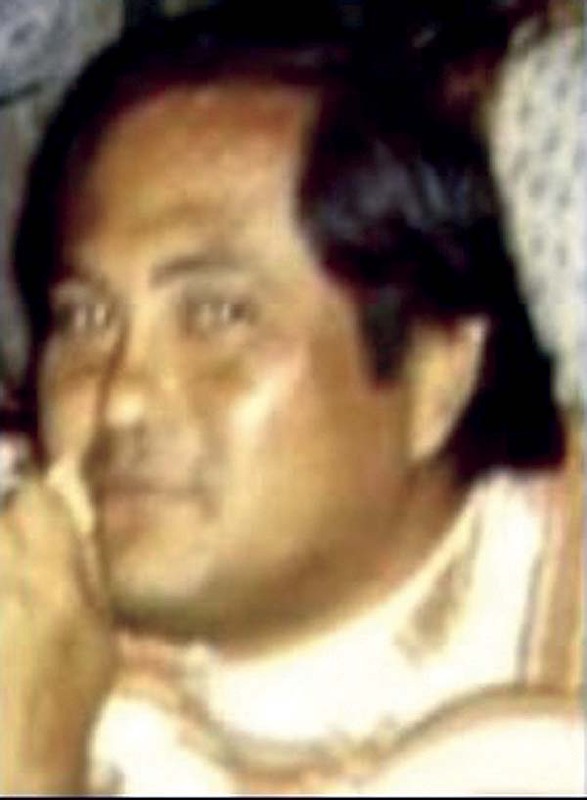 Ulu Helekahi was Benjamin “Benny” Kalama’s wife. His adult daughters, Tammy and Nicole, are there too, along with some of the Kalama and Malaiakini grandkids. Their stories are the subject of international intrigue. Sarah Joe has been documented in “Unsolved Mysteries,” podcasts, Reddit threads, YouTube videos, news reports, a local documentary and more. Family members on Friday said they are not riddled by the Sarah Joe mystery in the same way that others may be, though. What’s not up for guesswork is the weather on Feb. 11, 1979. 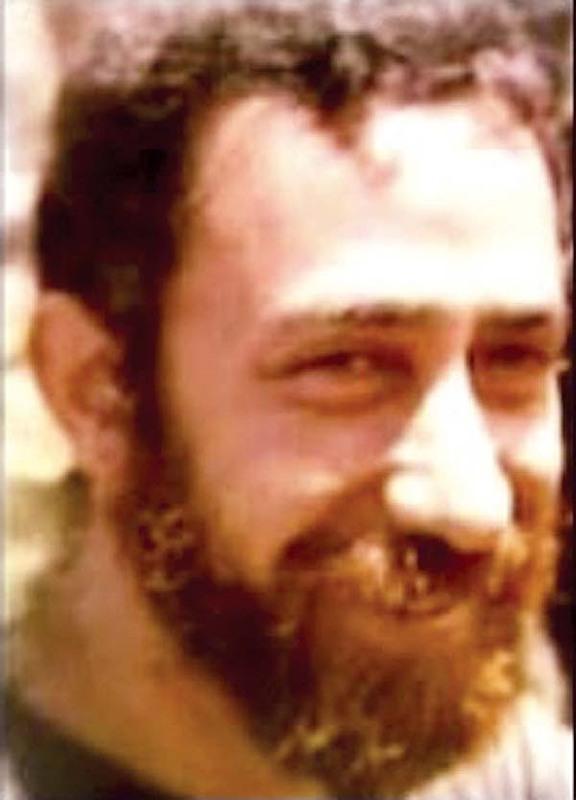 Family members vividly recall the morning Ralph Malaiakini borrowed the Sarah Joe, which was only a year or two old, from his brother and the crew of five co-worker friends skipped out on a nearby construction job to go fishing instead. “It was a perfect, beautiful morning,” Helekahi said. “The sea looked like a lake,” Robert Malaiakini added. Without many supplies, the five piled into the small craft, which had an 85-horsepower engine, and set out midmorning from Hana Bay boat ramp. Helekahi said her husband “wasn’t really a fisherman” but the group was strong and healthy, and all had water experience of swimming, surfing, diving and paddling. By 1 p.m. the wind increased to a gale. By evening the squall was “chaos,” Malaiakini said. Helekahi recalls being on Hana pier, searching the horizon for her husband. She called the police that afternoon, and the U.S. Coast Guard was notified. A group of Hana men went out to search that night on larger boats. Some reported their vessel “going vertical” in 40-foot waves, according to a Maui News story published in 2009. When Robert Malaiakini searched via boat the following day near the Big Island, he said, he met John Naughton, a National Marine Fisheries Service researcher. He asked Naughton and anyone nearby to look for the missing Sarah Joe. The Coast Guard called off its search after about five days. A massive community search via land, air and water ensued. People combed the coastlines of neighboring islands. The Hana community rallied. Days and weeks passed. “It seemed like wen rain 40 days and 40 nights after that day,” said Nicole Kalama-Baker, who was 8 when her dad disappeared. With no word of Sarah Joe, years passed. Then a strange turn of events “brought everything back” nearly a decade later. 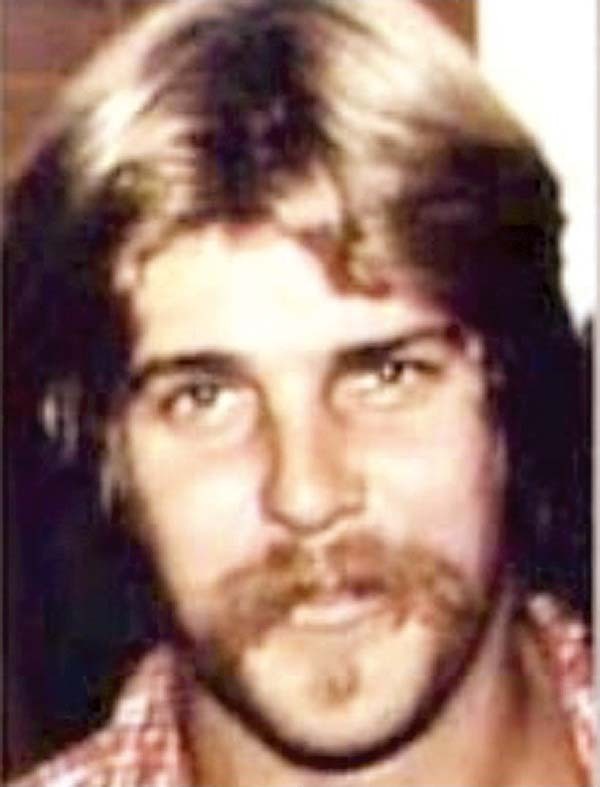 In 1988, Naughton, who helped with the immediate search, was doing research on Taongi atoll in the northern part of the Marshall Islands, located about 2,200 miles southwest of Hawaii. He spotted an embattled boat with a Hawaii registry on the hull and later said he immediately thought of the Sarah Joe but could hardly believe it, according to The Maui News report. It was later confirmed to be the missing vessel. Bones were found buried nearby in a simple grave on the atoll, which tests revealed later to be those of Moorman. The grave was covered with stones and a cross made out of driftwood. Nearby was what looked like a blank pad of notepaper interleaved with aluminum foil. The news of the discovery “was like opening up a can of worms” for Michael Woessner. It appeared that the boat and Moorman had made it there, but that raised a whole new set of questions, he said. In 1989, television’s “Unsolved Mysteries” recreated the Sarah Joe story, with many from the Hana search party portraying themselves. People hoped publicity would draw out information about the bones or the boat. 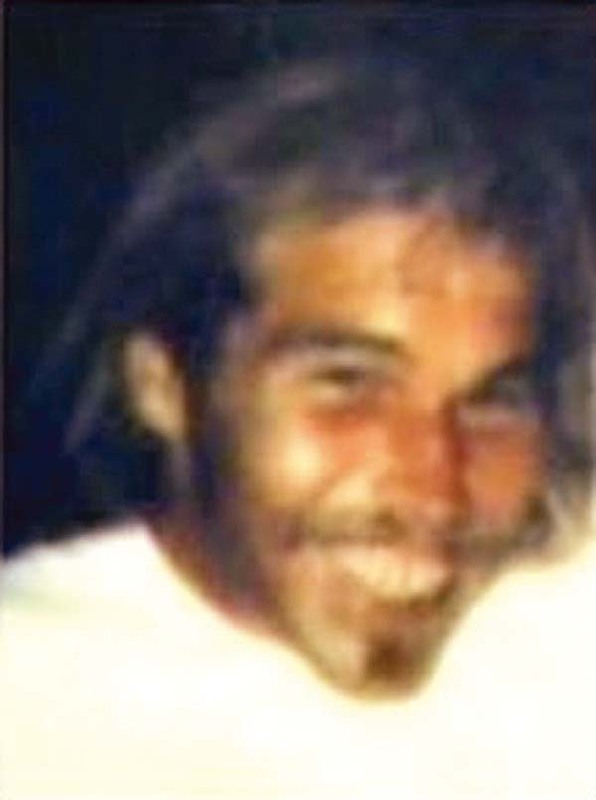 In 1990, Robert Malaiakini, along with friend and former TV host Hari Kojima of “Let’s Go Fishing” and Hawaii private investigator Steve Goodenow, traveled to the atoll to conduct their own search. Goodenow theorized that Chinese fishers could have found Moorman’s body but did not tell anyone because they were fishing there illegally, a 2009 Honolulu Star-Bulletin report said. The notepaper symbolizes good luck in the afterlife for some in China and Taiwan, but the cross is not part of that culture, Michael Woessner said. Robert Malaiakini said returning home and answering questions from the other families, who had hope after the Sarah Joe discovery, was one of the hardest times for him. 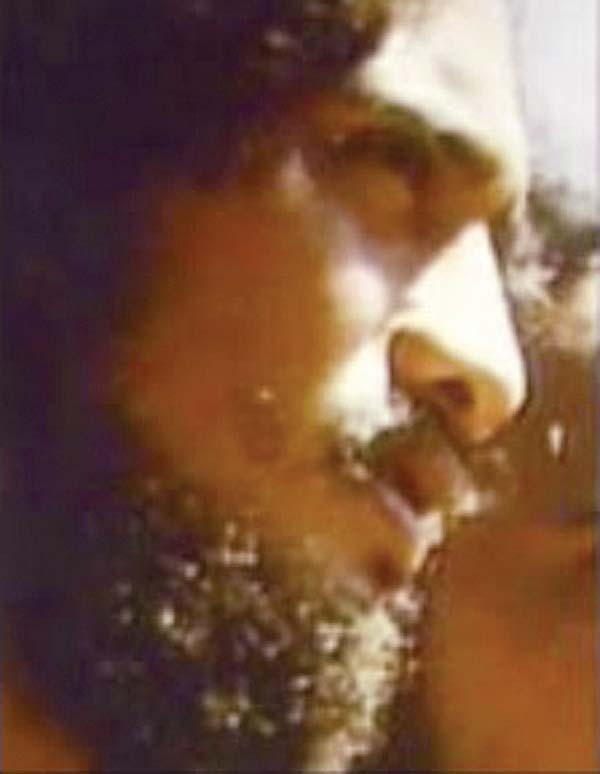 Some believe Moorman was alive when Sarah Joe reached the atoll. Others believed he tied himself to the boat to weather the storm, dying before he reached land. In Hana, the stories of what happened between Hana Bay and the Marshall Islands are vast and varied, including psychics telling family members which crew mates fell overboard first. The more challenging tales come from the children, Robert’s wife, Patricia Malaiakini, said. The Coast Guard returned Sarah Joe to its original owner in the early ’90s. With numbers, name and paint too faded to see, it sits at the start of Robert Malaiakini’s driveway, a daily reminder that “they’re there,” the twin brother said. 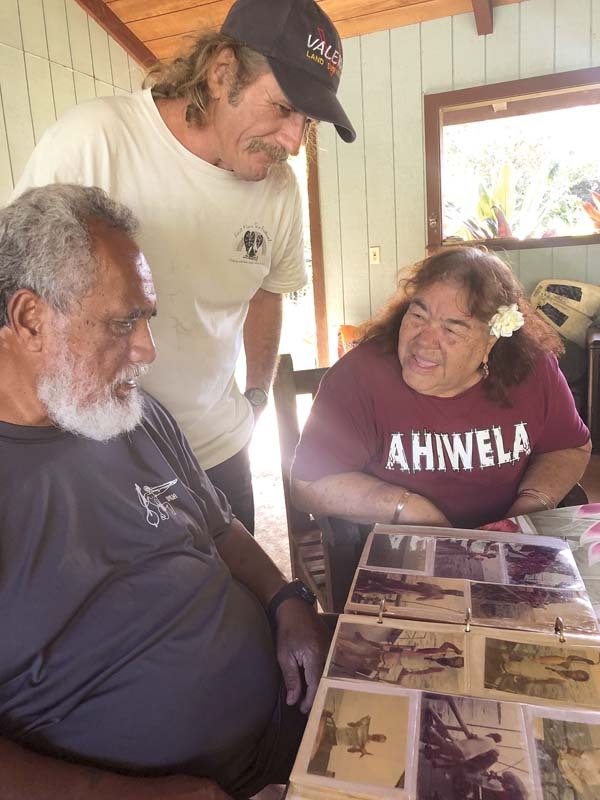 With the 40th anniversary Monday, the Hana men live on in the blood of surviving relatives and in the water of Hana Bay and beyond, which reminds kanaka maoli of nature, sustenance, travel, life cycles, something bigger and more spiritual. Each year, a Sarah Joe tribute canoe paddle is held by Hana Canoe Club; this year it’s slated for May. Some family members memorialize the men on their birthdays. 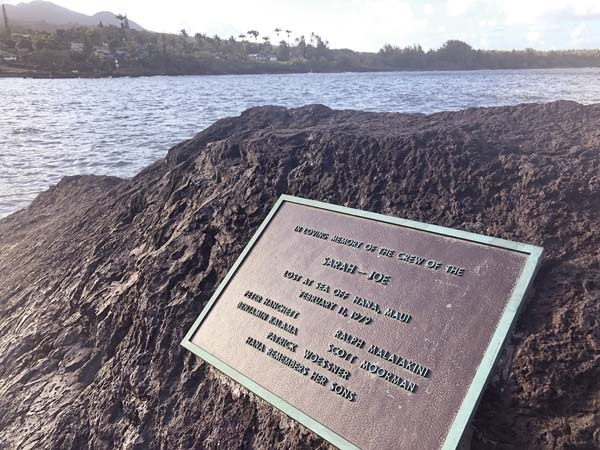 Others add flowers to the Hana Bay memorial on the anniversaries of their disappearance. For the 30th anniversary and public luau, which was “closure,” the group said, some planted five Norfolk pine trees, one for each man, to the right of the cross above Hana town. You can only see four from the hotel, but if you look from the store, you can see all five, Robert Malaiakini said. “Even though they were lost at sea, it didn’t change our relationship with the ocean,” Michael Woessner said. The Nahiku resident added that he thinks often of the good things, of a group of friends who liked to have fun and of the strength of the Hana community who took his family in as its own. “I think of them every day and remember them when I say my Rosary,” Helekahi said.